Learn more about why we oppose the proposed Title IX changes here. The proposed TitleIX changes will make schools less responsive to sexual harassment of students then their employees. Stop these changes. #ProtectTitleIX acesdv.org. Tell the administration it’s time to stop investing on backwards false solutions like their proposed changes to TitleIX. #ProtectTitleIX. Learn more acesdv.org/civicengagenment. The administration wants to bring the bad days of “boys will be boys” back to campuses with proposed rules changes on Title IX. #ProtectTitleIX by telling them no Learn more acesdv.org/civicengagenment. Who judges and the judges? Click here for information about judges to make an informed decision on your ballot. ACESDV wants every voice heard in the upcoming elections. To support this, ACESDV is collaborating with agencies across the state to get folks registered to vote! Want to partner in voter registration? It’s easy, fun, and we will help! Click here to sign up for information and our voter registration toolkit today! Download the voter registration toolkit. Allows the AZ state retirement plans CORP & EORP to make adjustments to retirement benefits based on cost of living rather than based on permanent benefit increases. Our Position: Neutral Click here to learn more. Amends the state constitution to prohibit state & local governments from establishing new taxes or increasing tax rates on services performed in the state. Our Position: Oppose Click here to learn more. Requires utility companies in AZ to source electricity from an increasing percentage of renewable resources each year. Our Position:Neutral Click here to learn more. Allows students who choose to not attend public schools to receive public funding for private education. Our Position: Oppose Click here to learn more. AZ Unlawful Contributions from Clean Election Accounts & Commission Rule-making Requirements Our Position: Oppose Click here to learn more. To register to vote, update your address or to check your voting status, click here. Arizona’s Address Confidentiality Program allows survivors of sexual assault, domestic violence, or stalking to use an alternative address other than their home in order to keep their location confidential. Survivors who utilize this program can also be registered to vote through it and keep their voter information protected. 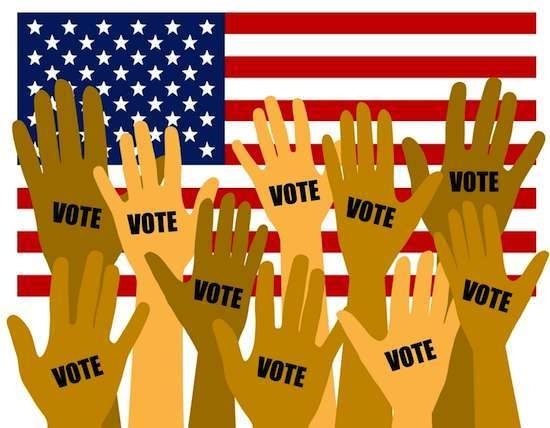 For more information about program eligibility and how to register to vote through this program is available here. Learn more about candidates in Arizona through a questionnaire organized through the Basic Needs Coalition. For general information about voting in Arizona, click here.